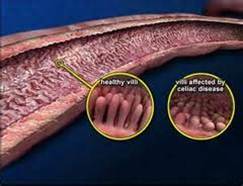 Most of us know that the United States requires gluten free foods to contain no more than 20 parts per million (ppm) of gluten. However, that is not the case for other countries. 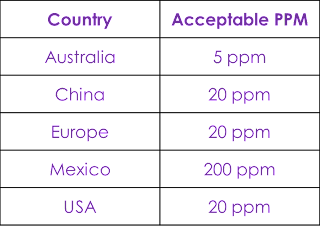 The chart below will show you that 20ppm is average but Australia is 75% lower than the US and Mexico is 900% higher....what a significant difference! As a result, when traveling, eating gluten free food from Australia is certainty safe to eat! However, Mexico may not be so safe. Fortunately, when food is imported from other countries, the FDA still requires them to follow our rules. Therefore, imported gluten free foods should always be safe in America. 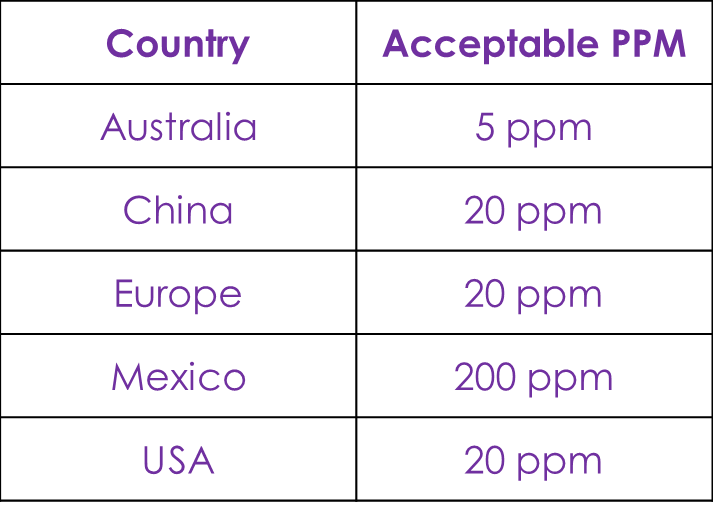 Different countries have different regulations for gluten free products. Some rules must be followed in order to label a product as gluten free; however, the FDA has regulation rules that were supposed to be determined and put into affect in 2012 but resources are saying that it will not happen this year. 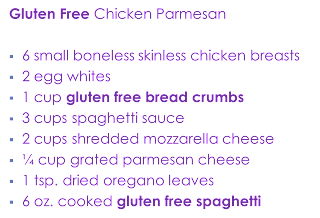 More regulation needs to be done in order for consumers to be able to trust the product and for restaurants to sincerely state if the meal is gluten free since the ingredient list is not right in front of the customer. According to the Gluten Intolerance Group, the Gluten-Free Certification Organization will support products that are gluten free after routine plant inspections, manufacturing testing, product testing and annual contract updates. 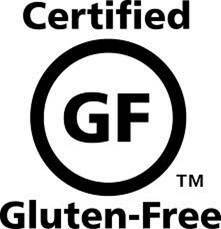 Having the certified gluten free stamp on a product helps put consumers' minds at ease. 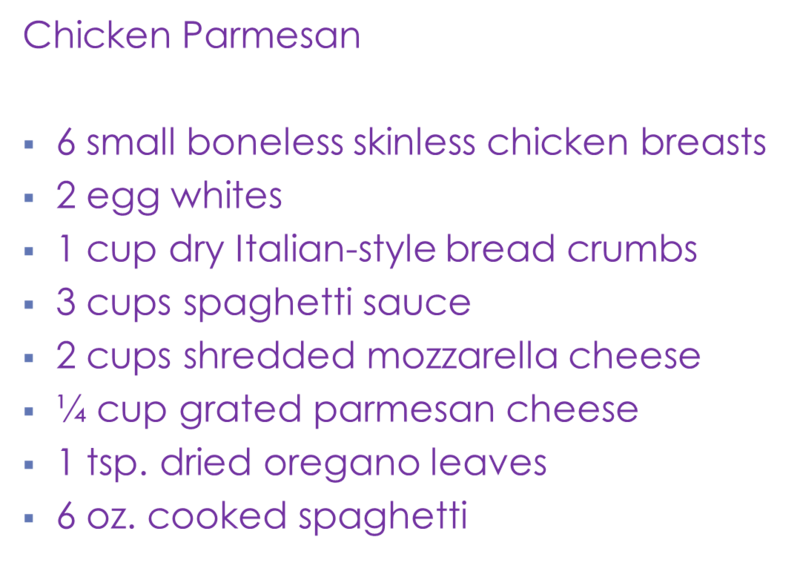 When having company over for dinner, making a typical family dinner is easy to change into a gluten free meal that everyone can enjoy. In order to eat gluten free, you do not necessarily have to find all new recipes than what you are typically used to. Just look at any recipe and decide what needs to be changed in order to make it safe. Most likely, your guest wont notice and you wont have to go through the trouble of making two dishes. 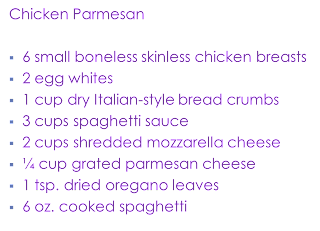 Here is an example of changing a recipe to help give you ideas! Being able to eat safely in the dining hall is important but having your own space in your dorm room is essential too! Always be open minded- anything and everything is possible! 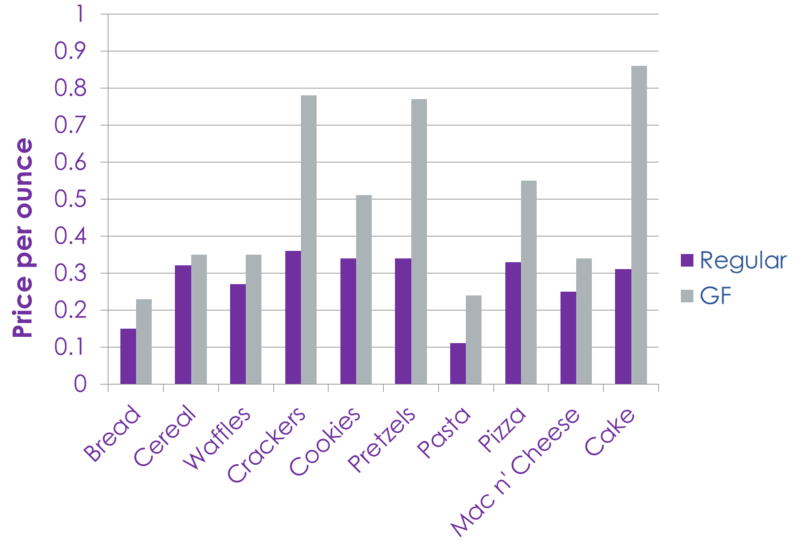 When shopping for gluten free products, it may feel like a burden on your budget. However eating naturally gluten free is a great and easy alternative. 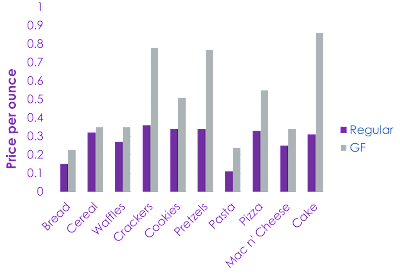 Below is a comparison of some commonly bought gluten free products compared to their gluten counterparts. Also- you don't want this to happen if it hasn't already! Importance of the "GF Zone"
After doing a lot of research lately, I have come to realize one thing- colleges ROCK at supporting gluten free students! I wish all the other schools could do a better job in this area. 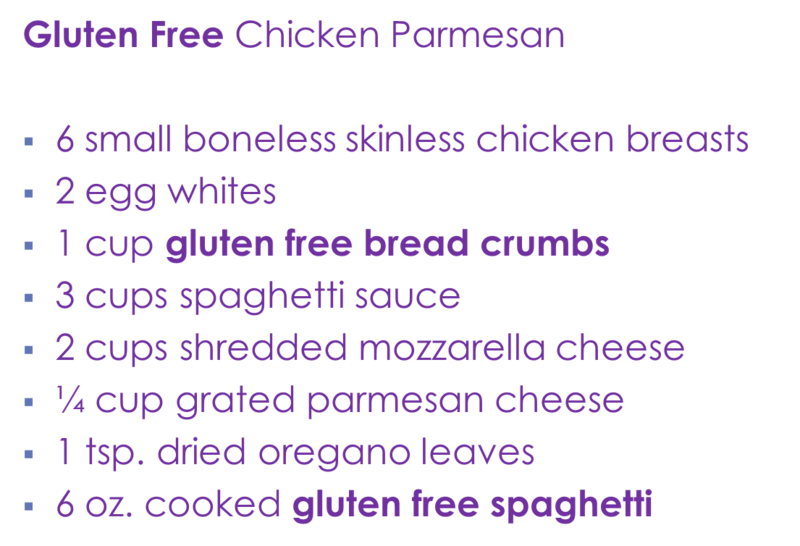 Several schools have created a "GF Zone" within their dining halls to accommodate ALL gluten free needs. Within this zone, it has everything anyone could ever need to successfully and happily eat gluten free. Includes separate condiments and/or single use cream cheese, butter, jelly, peanut butter, ketchup, salad dressing, etc. Can be the start of something new for students; such as "family dinners"
Most importantly- gives students the feeling of being normal and safe at the same time. Parents love it too! Having a food allergy doesn't mean a student should feel left out and having a "GF Zone" will ensure this does not happen. Some schools even give each student a key to this area after meeting one on one with their dietitian to ensure safety of other students bringing gluten into the area. All in all- if one school can make this happen, all schools should! I had the opportunity to tour a flour and baking ingredient company in central Illinois. They produced and packaged several different gluten free products. And let me tell you- being a gluten free consumer, it was a GREAT experience! It really showed me how serious this company was dedicated to the gluten free community. Not only was the gluten free production done in a designated area of the factory; but this area required a lot of training. Employees were trained about the importance of cross contamination before they were allowed to enter this area. Everyone was required to change clothes and shoes before they entered and even supplies (garbage cans, forklifts, machines, boxes, packing tape, etc) were specific just for this area and were not allowed to be removed. The system was fool proof because everything was clearly labeled. It was very clear and obvious that this company followed strict guidelines and took this matter very seriously. They were also able to provide me with a lot of information and when speaking to me, they really knew what they were talking about in regards to gluten free regulations. I was extremely impressed and it was a great feeling knowing that I am safe to eat their products because they are true to what they say! Hi everyone! Thanks for checking out my blog! I am really excited to start blogging about my GF experience to hopefully help others. I had no one to go to when I became GF. Since the day I started feeling better I wanted to reach out and help others. I hope you find something on here that is helpful!